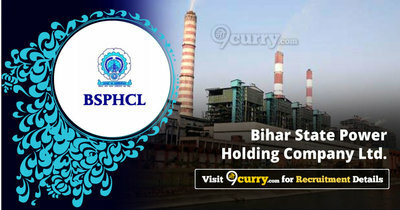 BSPHCL Recruitment 2019 - Walk in for Deputy General Manager Post in BSPHCL, Bihar on Contract Basis. Candidates are invited by Bihar State Power Holding Company Limited to attend walk-in-interview to be held on 21 Feb 2019 11:30 AM for 1 vacancy. 1 Officers retired from Bihar Administrative Services with a minimum service of 12 years and retired from the level of Joint Secretary or above. Officers retired from Indian Administrative Services. Venue Bihar State Power (Holding) Company Ltd., Bailey Road, Vidyut Bhawan, Patna -800001.